The median home value in Honolulu, HI is $549,000 This is lower than the county median home value of $629,600. The national median home value is $185,800. The average price of homes sold in , is $. Approximately 19.09% of Honolulu homes are owned, compared to 25.15% rented, while 5.76% are vacant. 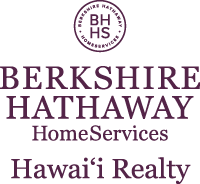 Honolulu real estate listings include condos, townhomes, and single family homes for sale. . Commercial properties are also available. If you see a property Honolulu real estate agent to arrange a tour today ! Courtesy: Hawn Dream Investment Prop. Centrally located Salt Lake Studio with all utilities, internet and basic cable included. Nice new upgrades - quartz kitchen and bath counters, new vinyl plank floors, new cabinets, one open parking. No smoking, no pets. Available now! Application fee required, $20 per adult. .
Make an appointment to view this fantastically designed single family cottage conveniently located in Kaimuki, right off 6th Ave. Located in an oasis like setting in the rear of the main house, this modern home features abundant natural light from strategically placed windows and a large skylight in the main living area. There is all vinyl flooring throughout, with high ceilings in the main living area. Provided with range, refrigerator, dishwasher, microwave hood, ceiling fans in each room, washer/dryer,and an on-demand water heater. Electricity is included (w/contingencies), with a minimal monthly water/sewer utility fee. Features 1 reserved stall and street parking available. No smoking/no pets. There is a pet on property. This home is near bus stops, Safeway and Kapahulu eateries. Conveniently located, spacious, and clean studio is available for rent at the Luna-Liho Towers. Located on Liholiho Street, Just off Lunalilo Street, this studio apt has a Biki station right up the block, is within walking distance to shopping, and is located near the bus lines. There is also (1) reserved parking stall. Furnished with a new refrigerator, range, window AC, washer/dryer, walk-in closet, and the lanai has rolling shutters to keep the noise and sun out. There is also new vinyl plank flooring in kitchen and bathroom. Water/sewer is included, and tenant pays electricity, cable/internet. Renters insurance is required at move in and no pets and no smoking. Marina front 2 story house, partly furnished with 3 berms, 3 baths, 1 den with Murphy bed, & 2 car garage is now available for rent. The house has been lovingly cared for & shows it. There is a fenced in yard with a sprinkler system. Twice monthly yard service is included. The tenant pays utilities however we provide filters for & pay for scheduled maintenance of the split A/C's. It has 2 living rms, dining rm, & an open kitchen with a breakfast area. There is a side lanai & a covered lanai off of the breakfast area. It's avaiable now & is easy to see. There is a $22 per adult application fee. The ants must have renter's insurance in place before moving in. Like all of our properties, this is a non-smoking property. Give a call or email for an appointment to see. Spacious condo with spectacular views! With convenient freeway access and close to restaurants, shopping, grocery, and Kaiser/Straub hospitals, this location can't be beat! Enjoy the view of the city and ocean from the 14th floor. Washer/dryer in the unit with covered and gated parking stall. Courtesy: Pan Pacific Realty, LLC. Courtesy: Urban Real Estate Co. Recently renovated 2/1 in well maintained walk-up apartment building with gated/key entry. Attentive Resident Manager on-site. Looking for respectful people to join a pleasant friendly community. Golf course frontage. Upgraded with stainless steel appliances, open kitchen with large island. High ceilings and a family room. One block to Sandy beach, close to Sea Life Park, Makapuu beach, Lighthouse, Blow Hole & Hanauma Bay. Wake up to a beautiful sunrise, enjoy a cup of tea on your open lanai. This unit's special feature'¦ French doors'¦ give you full access to your entire lanai. There is an enlarged closet in the main bedroom, use the 2nd room as an office or yoga room. Marble floors throughout, fresh paint, extra shelves, washer/dryer in the unit, and 1 parking stall! Amenities include a small gym, Jacuzzi, swimming pool, bbq area, hair salon and convenience store. Close to the freeway and easy access to downtown. Come see it today! Courtesy: West Oahu Realty, Inc. Rarely available one bedroom one bath with one assigned parking in the desirable building of Castle Surf on the Gold Coast. Located near the fountain. This building features 2 elevators, a sitting area, and ocean access. This unit comes partially furnished meaning appliances only. Close to Don Quixote, Walmart, and Ala Moana Shopping Center. Make your home with almost un-furnished unit. The unit has appliances and 1 full size bed. Check furniture layout sample. AOAO owns parking stalls and rents to residents. Building has pool and community laundry. Rent includes water, hot water, sewer, & electricity. Unit in good condition but to be sold in "AS-IS." Your Kahala Treetop Gem Awaits! With a freshly painted interior of 1,258 sq. ft., this two-bedroom, two-bath, fully furnished property comes highly recommended by the former tenants. The Kahala Beach Apartments is noted for its laid-back luxury and carefree charm, making it easy to fall in love with. The Pacific Ocean and White Sand Beach of Kahala are steps away. Resort like amenities include an ocean side, heated, salt water pool, exercise room and library. An assigned parking stall along with ample guest spaces are included. The property is located between the four Star Kahala Hotel & Resort and Waialae Country Club. It is walking distance to Kahala Mall, which includes a Cinema, Whole Foods, an Apple store, and much more. Don't miss out! This 1 Bedroom, 1 Bathroom condo in Waikiki has a washer/dryer in the unit. There is also a lanai off of the bedroom for extra space. Comes fully furnished with all that you need. Wifi, Cable TV, water, garbage and sewer are all included! This building is secure, 4-stories with an elevator and a resident manager. NO PARKING available at building. NO SUBLETTING AND NO AIRBNB. Information is provided exclusively for consumers' personal, non-commercial use and may not be used for any purpose other than to identify prospective properties consumers may be interested in purchasing. Based on information from the Multiple Listing Service of the Honolulu Board of REALTORS®. Copyright: 2019 by the Honolulu Board of REALTORS®. Some of the listings appearing on this site may be listed by other REALTORS. If you are interested in those listings, our company may represent you as the buyer''s agent. If the listing you are interested in is our company's listing, you may speak to one of our agents regarding your options for representation. Some of the active listings appearing on this site may be listed by other REALTORS®. If you are interested in those active listings, our company may represent you as the buyer's agent. If the active listing you are interested in is our company's active listing, you may speak to one of our agents regarding your options for representation.